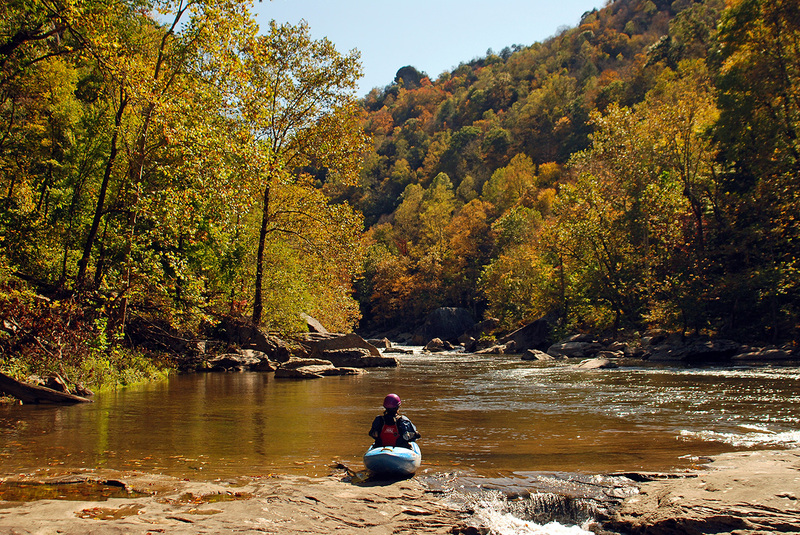 Appalachia is rich with water resources — cold running streams rush off the mountains, creeks weave through every community and mighty rivers like the Kanawha, Clinch and Cumberland are formed here. The region’s ecosystems, people and future rely on the availability of clean water, but the lifecycle of coal — mining, processing, burning and waste disposal — seriously threatens this natural resource. For too long, state regulatory agencies in Central Appalachia have failed to hold the coal industry accountable for its legacy of water pollution. This lack of enforcement highlights the need for independent water quality testing and record review through an informed citizenry. Appalachian Voices works to address water quality issues in coal-impacted communities by promoting and ensuring compliance with laws that protect clean water. We developed the Appalachian Water Watch interactive website to help people report and track incidents of water pollution. Emergency spills, such as coal mine sediment and slurry pond spills, tanker truck spills and natural gas well blowouts, are often only reported to some members of the community, or only to state agencies. 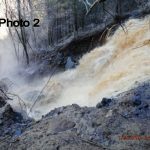 It can be difficult to obtain notification of spills in one’s community, or to gain information about how a spill is being dealt with by responsible companies and agencies. By providing a central place for citizens to communicate information about coal-related spills, we not only can help them cope with the potential hazards of pollution, but we’re also building a case to demand that regulators do their job and fully enforce environmental protections. Our team of experts also responds directly to some of the worst spills — including the Tennessee Valley Authority coal ash spill in 2008 near Knoxville, the 2014 Duke Energy coal ash spill in North Carolina, and the notorious spill of a coal-industry chemical, MCHM, into the Elk River near Charleston, W.Va. that led to the disruption of water service to 300,000 people in 2014. We were among the first to arrive on site to document these spills in photographs and video, talk with nearby community members, and take water quality samples that we ran through independent labs. The Appalachian Citizen Enforcement Project is designed to fill the vacuum left by the lack of state oversight. By empowering communities to monitor their own water, we are creating a broad picture of the extent of coal-related contamination across the entire region. 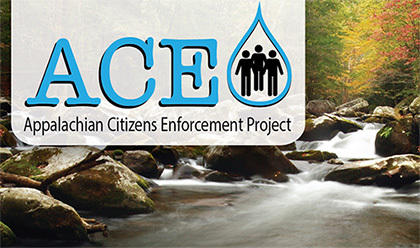 Organizations and individuals throughout Central Appalachia are collecting local water quality data that is made public and can be used to advocate for the enforcement of existing laws and increased protection for clean water and healthy communities. Federal laws like the Clean Water Act and the Surface Mine Control and Reclamation Act are meant to protect public water and other natural resources, and protect local communities from harm caused by pollution. When these laws are broken or not adequately enforced, citizens have the right to pursue legal action through citizen lawsuits. Appalachian Voices plays a vital role in some of these actions. The information collected through our network of trained citizen monitors and our review of state and industry data enables us hold offending companies and agencies accountable in court. In a major win in Kentucky in 2015, we helped secure a historic settlement against coal company Frasure Creek Mining, Inc. 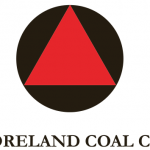 The settlement revolved around tens of thousands of Clean Water Act violations that Appalachian Voices had discovered at the company’s surface coal mines in eastern Kentucky. Between 2010 and 2014, we found that Frasure Creek was copying and pasting water quality data or otherwise falsifying its water pollution reports to the state. The Kentucky Energy and Environment Cabinet had either not known or cared about the violations, and when we shared the information, took minimal action. We joined Kentuckians For The Commonwealth, Kentucky Riverkeeper, Waterkeeper Alliance and the Sierra Club to challenge the state’s settlement with the company. Our resulting settlement secured a substantially larger fine and an agreement that Frasure Creek would no longer mine in Kentucky. Our comprehensive review of coal industry water pollution reports that revealed the Frasure Creek violations also turned up thousands of similar Clean Water Act violations by International Coal Group (ICG) — another major mining company in Kentucky. Absent proper enforcement by the state, Appalachian Voices and our coalition partners went to court. In 2012, we reached a landmark settlement requiring third-party auditing of ICG’s water monitoring reporting and setting fines for potential future violations. In the course of the years-long legal action, the state Supreme Court ruled for the first-time ever to allow affected citizens to intervene in a Clean Water Act case in Kentucky, setting a critical precedent. As with the other two coal companies, we found that Nally & Hamilton Enterprises had wracked up some 17,000 Clean Water Act violations at its Kentucky surface mines. Prompted by our notice-of-intent to file a lawsuit, the Kentucky Energy and Environment Cabinet took enforcement action resulting in a settlement with the company of $507,000, a fraction of what the law allowed. Despite the objection we filed with the court, the settlement was affirmed in October 2012. 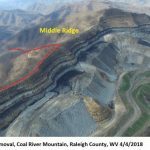 In 2014, Appalachian Voices, Southern Appalachian Mountain Stewards and the Sierra Club filed suit against Penn Virginia — a publicly traded limited partnership that leases land to mining companies — for illegally discharging selenium into streams from seven sites in southwest Virginia. Selenium pollution is associated with surface coal mining and is highly toxic to aquatic life, and can pose a threat to humans as well. A 2016 settlement resulted in the cleanup of several selenium discharges, as well as funding for environmental remediation of several other sites polluted by the coal industry. In 2014, we entered into a settlement with A&G Coal Corp. resolving our Clean Water Act lawsuit against the company for illegally discharging selenium from its Kelly Branch Surface Mine in Wise County, Va. The company — a subsidiary of a company owned by coal billionaire Jim Justice — was required to pay more than $300,000 in penalties and fees, the bulk of which will go toward projects to clean up three coal sites in southwest Virginia. An earlier court order in the litigation required the company to secure enforceable permit limits for its discharges of selenium.